A Story Map is a type of graphic organizer that focuses on the elements of a book or story. It asks readers to identify the characters, setting, problem and solution and invites them to summarize the key events in the story. 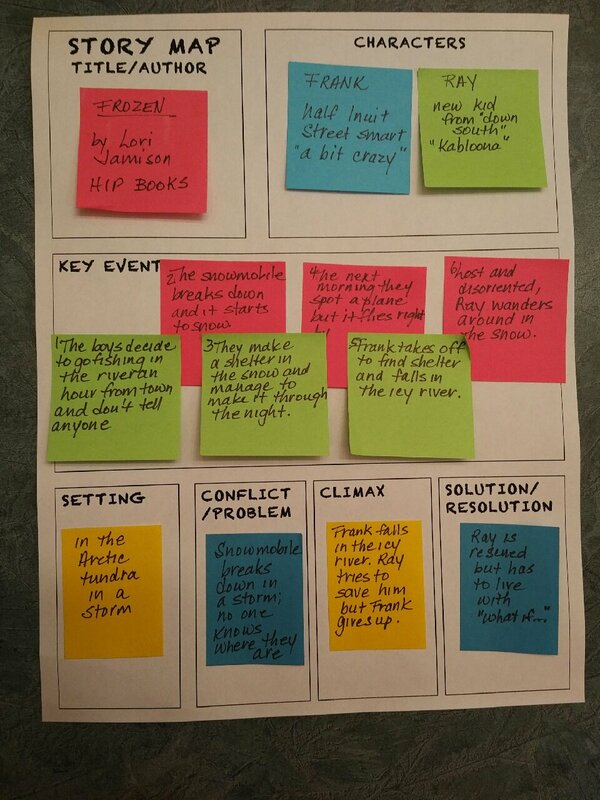 The Sticky Note Story Map is particularly effective for struggling readers because it doesn’t require much writing, but covers an entire page effectively. Plus, if students make a mistake or change their minds, they need only remove or replace the sticky note. Download the Story Map Template. Click here or on the image at the right to download a completed sample based on Frozen by Lori Jamison.